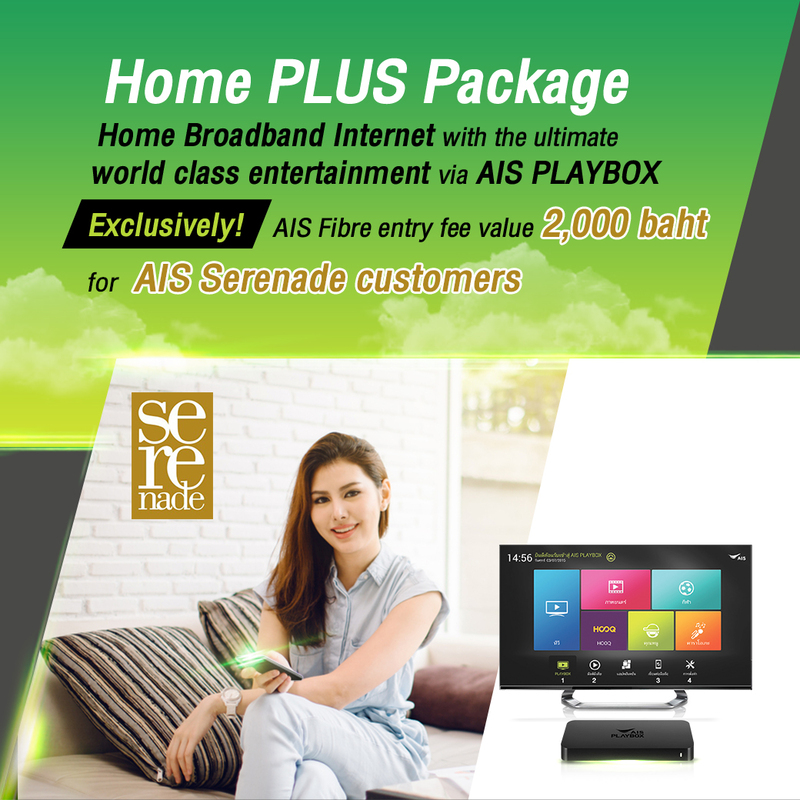 Privilege numbers must be AIS Postpaid and AIS Fibre number are under the same account. Special price for AIS Serenade (Emerald, Gold, Platinum) for the customer who remain Serenade segment. HomePLUS Package registered as residential only. The customer who subscribe HomePLUS package receive free Private IPv4 with DDNS* and Public IPv6. Can use port forwarding and bridge mode. The offer is only for customers who have used the AIS network for a minimum of six months. The offer is for customers who have never had an outstanding balance overdue. The offer is for customers who have regularly used AIS services. The offer is for customers with monthly service charges as indicated in the above table. The customers shall enjoy the privilege only after being notified by AIS. Juristic customers shall be directly invited by the company. Privileges will expire as specified by AIS. Privileges will no longer be available when the customer cancels the service or transfer the service to another person, or when the service is cancelled. The customer may enjoy the privileges at locations specified by AIS. Terms and conditions apply. The company reserves the right to amend the details on the qualifications, change the terms and conditions, or cancel services or privileges without prior notice.